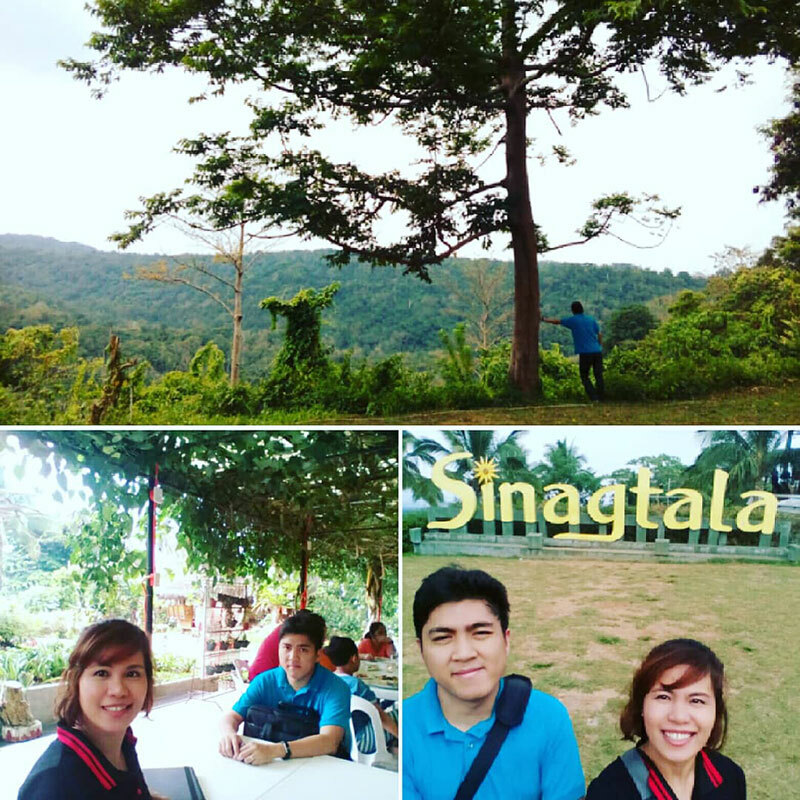 As a frequent tambay of Google Maps, I actually discovered Sinagtala by randomly clicking on the mountain areas of Orani, Bataan. 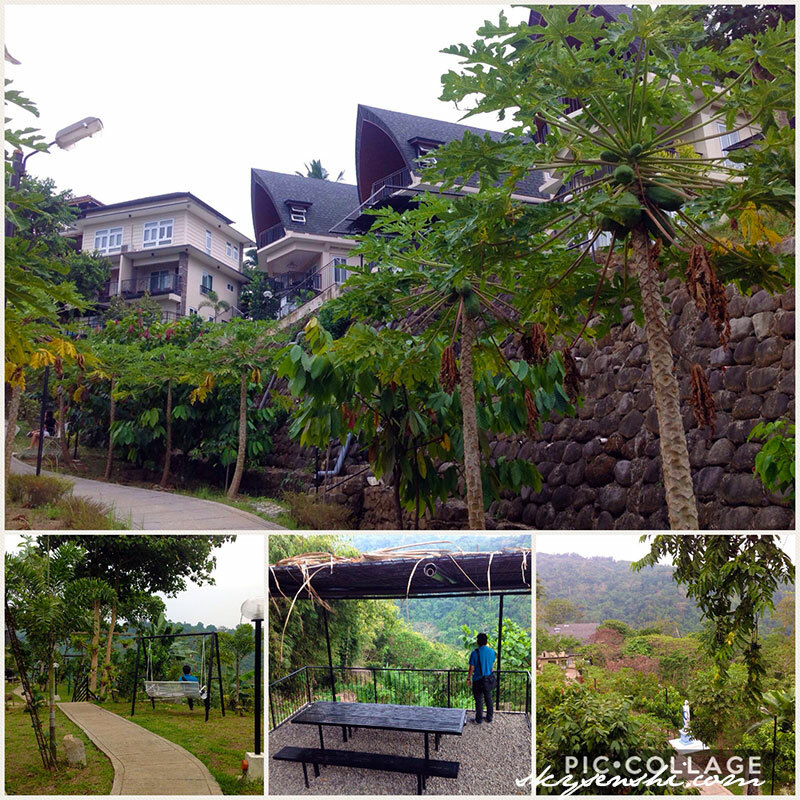 I have always been on the lookout for resorts with chapels, and this seemed perfect for a Holy Week getaway. I wanted to see the Santa Maria Ai Monti, which turned out to be one of the prettiest chapels I had ever been in. The facade speaks of tranquil simplicity, but it had the mountains for its backdrop. Once you go inside, you’ll be in awe of its subtly ornate ceiling and its capiz fixtures. Behind the altar is what people called the “Coffee Christ”, which was entirely made of coffee tree branches. The walls were open but its stained glass windows looked like they had been water colored instead of the usual sharp stained glass hues you normally see in churches. Just across the chapel sits the Sinagtala events hall. This is fully air conditioned, and just like the chapel, it had the mountains for its backdrop. It’s a short walk away from our lodgings. 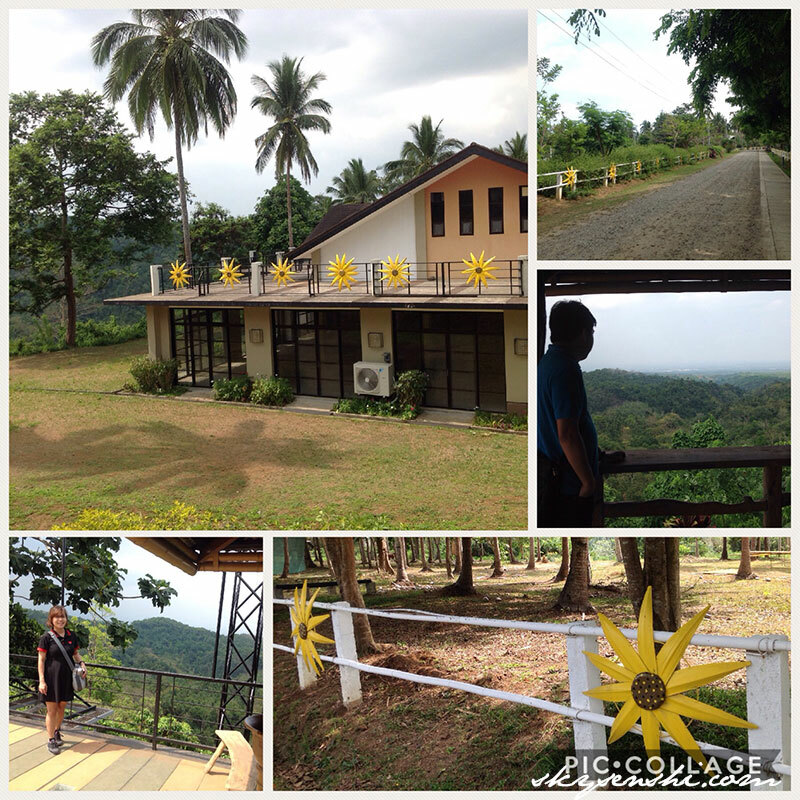 Anyway, we were booked at the Duyan House, at the far end of the farm resort. Apart from the chapel, which was amazingly empty, it was the quietest part of the resort. Our booking came with breakfast, which was filling. I enjoyed the daing (not pictured here), while my husband raved about the longganisa. I suspect that one came from Pampanga. The room itself isn’t bad, but after last month’s Club Balai Isabel experience (and considering we paid almost twice more for Duyan House), we were hoping that the amenities would be more complete. I liked that there’s a soap dispenser in the shower, because that’s an eco-friendlier option than having to replenish toiletries that have packaging, but there weren’t any conditioning shampoos or lotions, or any in-house coffee making facilities. What my husband and I liked best about the room, though, is the balcony. 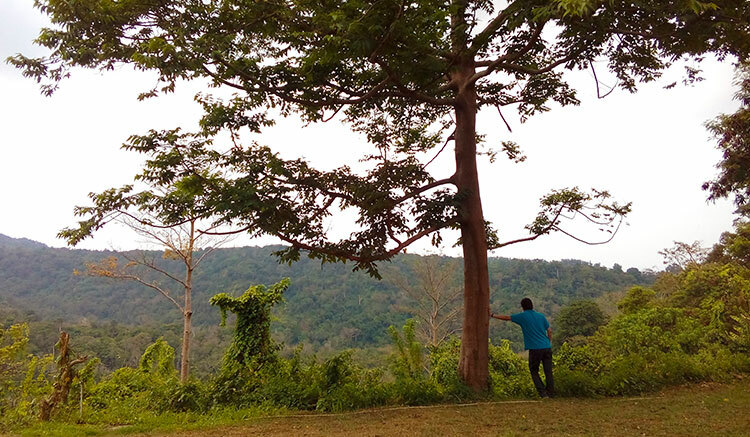 I didn’t mind having slow internet connection when I could stare at that breathtaking view (just don’t look down because many Pinoys are gross and they hang their clothes in inappropriate places). Oh yeah, the bathroom/toilet was weirdly too open (walls did not completely enclose it) that whenever someone had to use it, one of us had to go out to the balcony. Hot shower water also only became available in the morning. 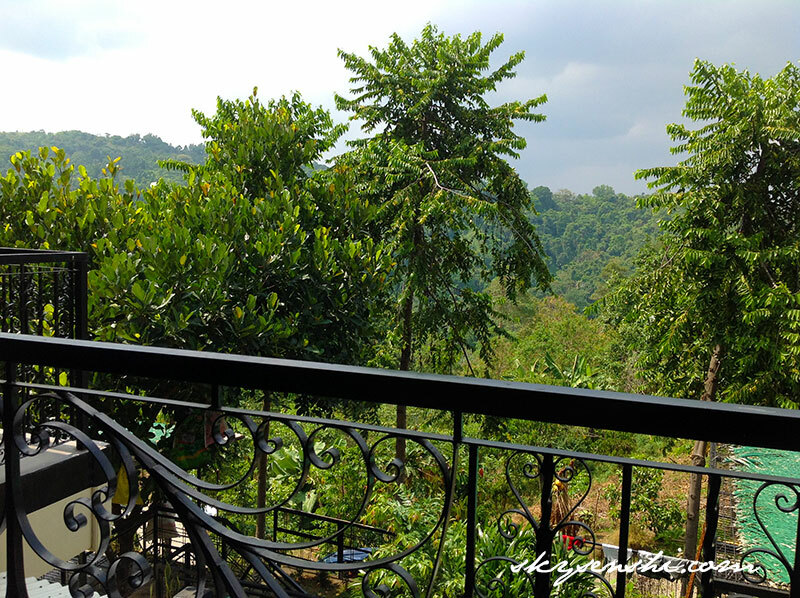 Being booked at the Duyan House gives you access to the end of the resort, just before the river trek area, which was a pleasant walk. It was where we hung out to get away from the noise of the pool area. The only time we managed to find the pool area empty enough to take photos of was at 6AM in the morning. Breakfast time is at 7.30AM so we used the time before that to take a quick walk. Note to self: Return to Sinagtala when it isn’t a holiday, and do sky biking and the river trek. Unfortunately, husband didn’t want to try the activities available in the resort (there were lots). These were actually one of the other reasons why I booked Sinagtala. I want to go back with friends, so I can make the most of our stay. For merienda, we ate at the Sinagtala Cafe. The place was a little busy, and I was trying to self-serve because the waiters seemed overwhelmed. I would like to suggest to the management to maybe allow people to pay as they order and they could just give out numbers. Anyway, hubby had a melon shake and I had halo-halo. Then we both ordered beef mami. The noodles were actually home-made, which was pretty interesting, but the best part is the beef. It was so soft. I didn’t think mami would ever have beef that soft. For dinner, we went to Tampay Cafe. Because I am constantly intermittent fasting, we’d usually have dinner at 4 or 5PM. This schedule results in us going to dining halls that are empty. But it was also romantic. 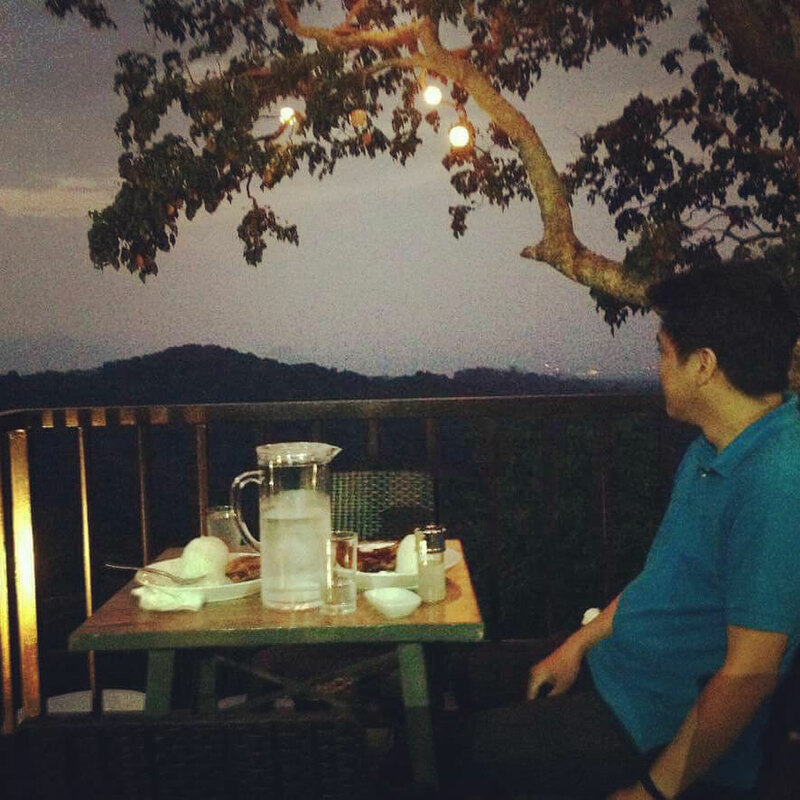 As the sky went dark, those lanterns on the trees became our light, and we had the restaurant all to ourselves! 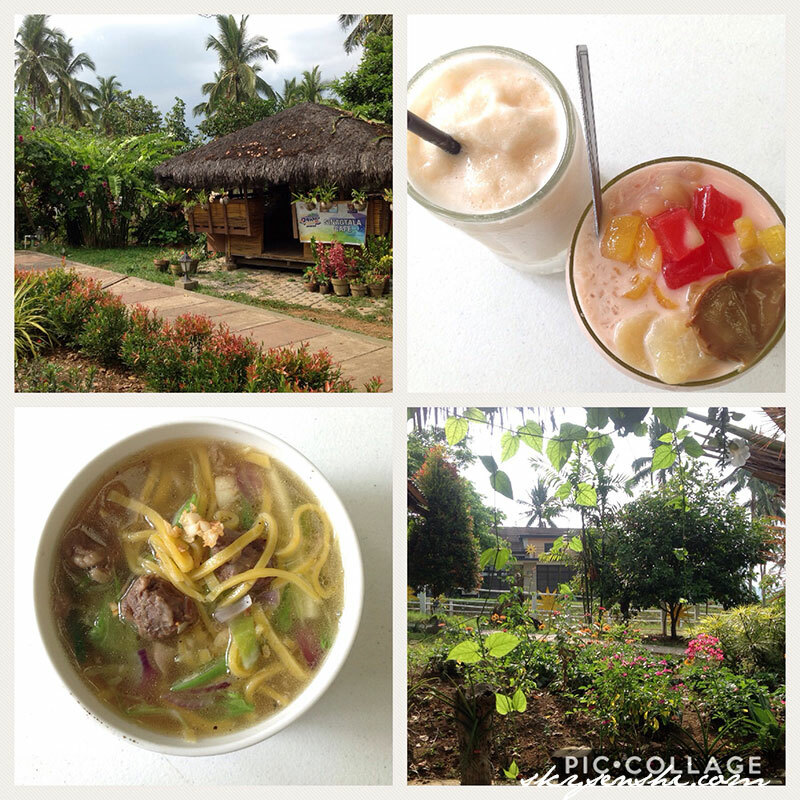 Having experienced food in Las Casas, Bataan (which was lackluster), I lowered my expectations. But whoa! The bangus was delightfully crispy! And the chicken tasted so fresh, it didn’t need a lot of seasoning. We were afraid that it was one of those chickens running around with the horses in the farm. We enjoyed the full moon that night. 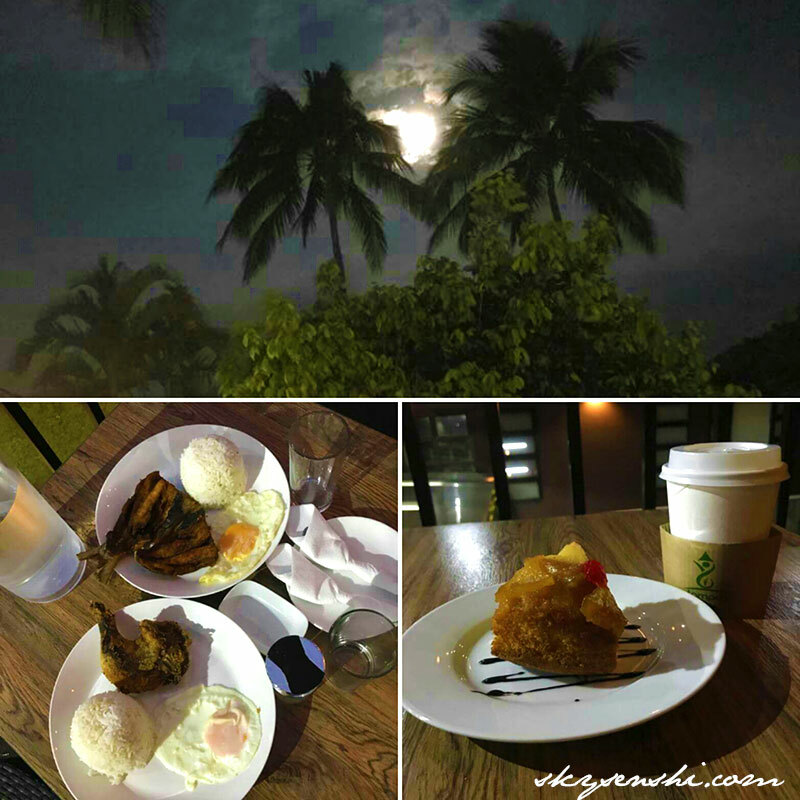 Incidentally, we also enjoyed the full moon at Club Balai Isabel a month before. We’re so lucky to be outdoors at such times. The chapel is absolutely charming! Spacious function hall right across chapel. Plenty of exciting activities from sky biking to sky bridges to river trekking. There are “pockets of isolation” you can hang out in if you don’t want to see people. There are different animals roaming the area, though the cats are afraid of people. Surprisingly good food (crispy bangus, flavorful chicken, soft beef mami with home-made noodles). 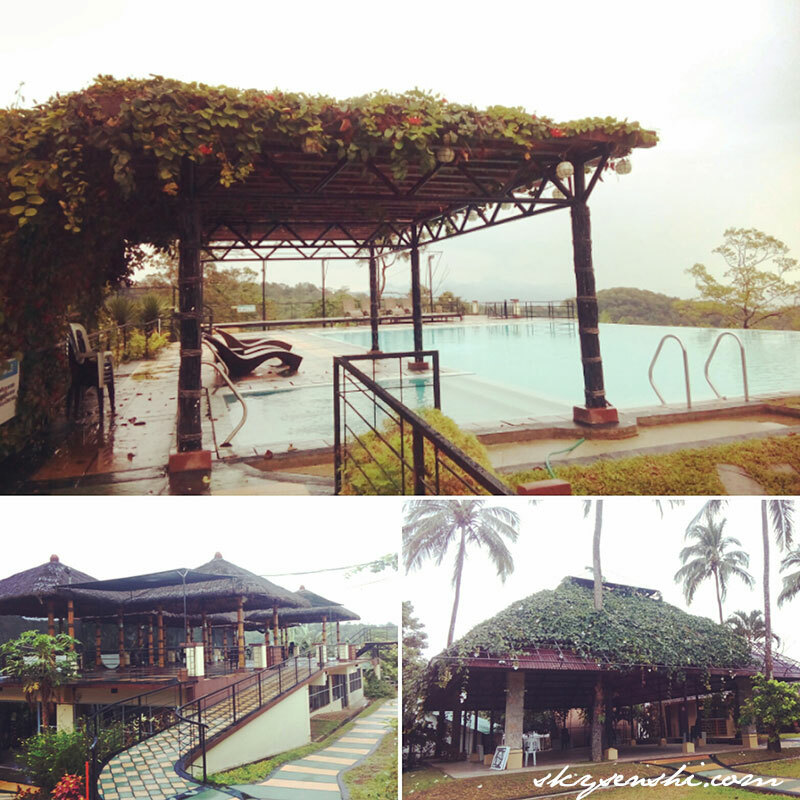 Perfect weather: one of the staff said that summer doesn’t exist at Sinagtala. No coffee-making facilities in the room. Would have loved to sip coffee while lounging in the balcony. Bathroom that has semi-open walls (so weird). If someone ate tons of pork then used the toilet, that’s gonna stink up the whole room. The pool areas are too crowded. This can’t be helped, though, because it was Holy Week. Gross tourists who throw their garbage haphazardly. Hubby and I were so annoyed that we had to pick up after one of them threw a water bottle right beside our car. 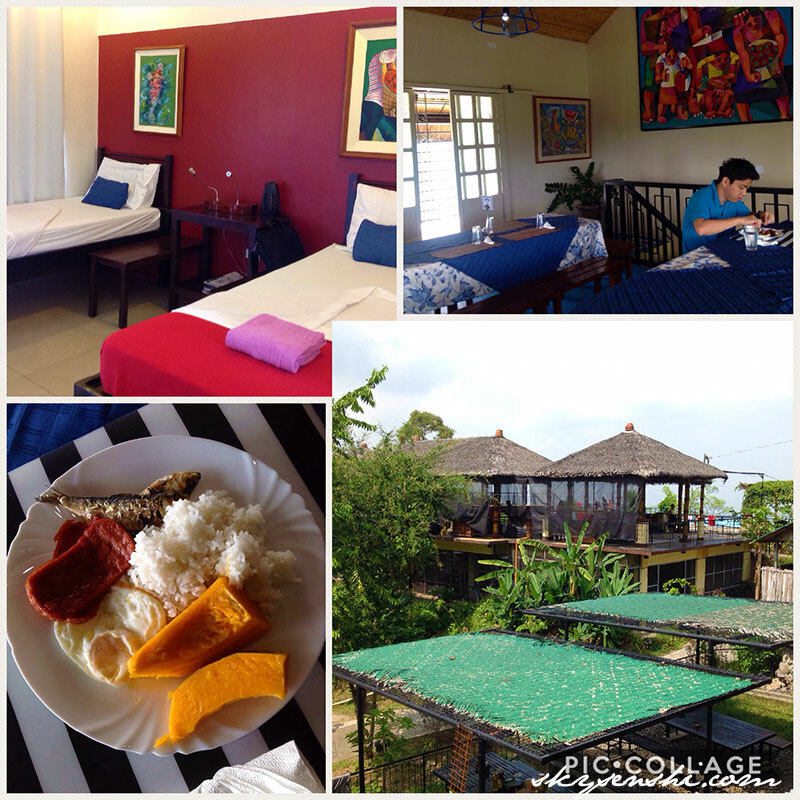 Expensive rooms compared to Club Balai Isabel, considering the amenities are lacking. Cold shower in a cold area is just brrrrrr. Good thing hot water was finally available in the morning. They’re now developing areas for glamping (glamorous camping). They may add more activities and I need to try at least some of them.